I was asked to sit on the media roundtable panel on Friday last week. 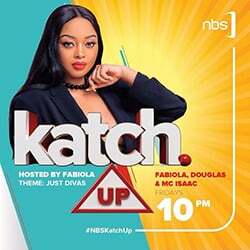 The ‘Media Round Table is a program on NBS – TV, where I work, that seeks out the opinions of journalists on the important issues of the week. For the week, it had been the debate on COSASE that dominated the newscast. A committee that had been tasked to investigate the resolution – or dissolution – of commercial banks by the central bank. Along the way, like many had predicted, the committee dug up the dirt that had well been swept under the carpets of the central bank. So much so that the integrity that had been vested in the bank by majority of the public may have been eroded along the way. It discovered, for example, that banks were sold over a phone conversation, that no public bidding had been allowed for Uganda’s largest indigenous bank, that officials at the bank could not account for over 470 billion shillings used in the process, that officials at the bank had taken troves of sensitive documents from the bank to their personal homes and many more damaging things. At the helm of this committee is Abdu Katuntu, a lawyer by training and politician for over 20 years. His leadership of the committee, thus far, has been impeccable. But his tenure has come to an end and the FDC leadership will replace him this week with Kawempe MP Mubarak Munyagwa. It ideally shouldn’t constitute a problem but the public profile of Munyagwa has caused a storm of debate. The Speaker of parliament has also underhandedly and officially asked Katuntu to remain at the helm of the committee until it disposes off the central bank business. 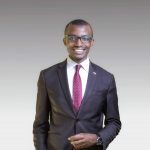 There have been very solid arguments raised by the FDC spokesperson Ibrahim Semujju Nganda (who is also my area MP) for why the change must and should happen. First, is that the tenure has run out and validly so, the party has chosen the next chairperson and committee members. The second argument is that power must shift hands when it ought to shift hands which has been an argument that has gone unrebutted. 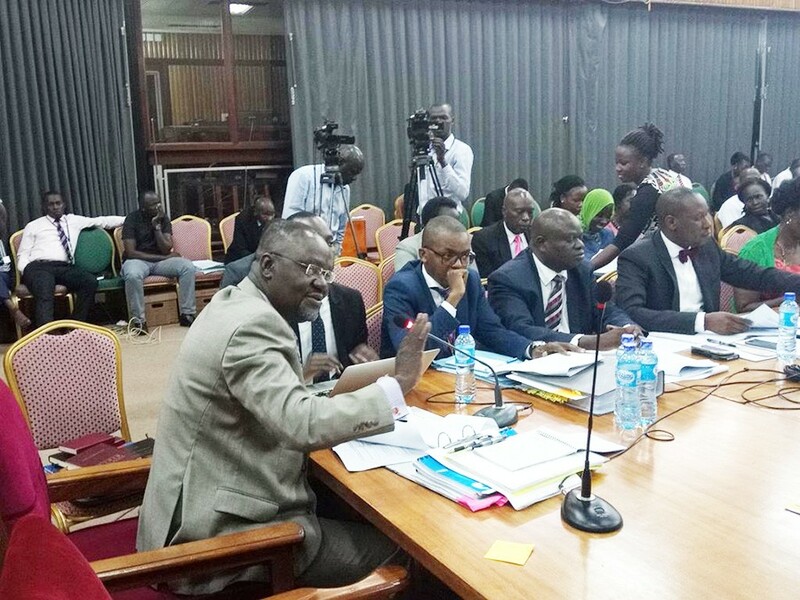 My feeling though, as I expressed it on the Media Round Table is that, this particular case – the probe of the central bank at COSASE has been a clear referendum on the leadership abilities of Kawempe South MP Mubarak Munyagwa or rather – like I should dwell on, those of Katuntu. The question that comes to mind is; what qualities make one a better leader? There is a school of thought that every elected official is a leader, which I strongly disagree with. There are marked qualities of a leader that are generic, boring and oft repeated but very rarely upheld. Qualities like integrity, emotional intelligence, good judgement, transparency and ethics have been quoted to produce good leaders. Sadly, these are variables that a ballot box and the expression of majority opinion cannot police. It might explain why, in over 1.5 million of elective positions of Uganda’s state structure, there is still a gaping loop of leadership. Leadership, well exercised, also produces results. For example, in the time Katuntu held the COSASE leadership, it was able to recover over 50 billion shillings lost in dubious deals for UBC, the Oil Handshake, roads projects and now at the verge of recovering the 470 billion lost in the settlement of the Crane Bank debacle by the central bank. There is also the under looked factor of strengthening the corporate governance culture of the institutions that COSASE has been able to probe under Katuntu’s leadership. There is sadly, despite all confidence his defenders portray, no public record of Munyagwa’s leadership abilities which gives the right to those who question him. His public record is littered with public demonstrations that haven’t achieved their objective, populist attacks on public officials and slander of character. Placed at the heart of adjudicating and investigating corporate interests whilst protecting the sanctity and record of the central bank will be such a delicate balance that all who raise these questions have valid reasons to worry about. But perhaps when all this is done, the real referendum then will shift to whether we have the leaders we actually deserve. I have no confidence in Munyagwa’s leadership, despite my praise and relentless fight for his rights to be respected. I am also a great believer in good governance which demands that the leadership of the committee must and should definitely be turned over when the time is due. 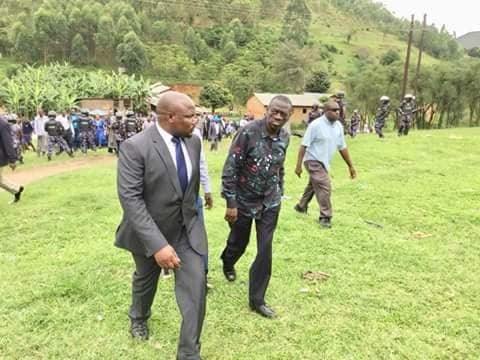 It is just who it is being turned over that I need extra convincing and gladly, for the FDC, that is a space I hold no vote but you can be sure as day follows night, my vote in the general election will take into account the qualities of good leadership.